I would like to be able to navigate the main file manager window as well as the Nautilus (3.10.1) side pane using just the keyboard (arrow keys etc.). How do I switch between being able to navigate in the side pane and in the main window using the keyboard? That is, how do I switch between the area where the arrow keys are currently active for navigation? For example, in the below picture how do I switch between being able to navigate "Places" (Home, Desktop etc.) and the directories (Documents, Downloads etc.)? Not the answer you're looking for? Browse other questions tagged nautilus shortcut-keys filemanager or ask your own question. In Nautilus is there hot-key to the side-pane's drop-down mode-selection list (Place, Tree, etc)? In a “Save as … ” dialog, what's the quickest way to keyboard-navigate to “Recently Used” in the “Places” side-pane of Nautilus? How can I quickly see a list of the keyboard shortcuts? 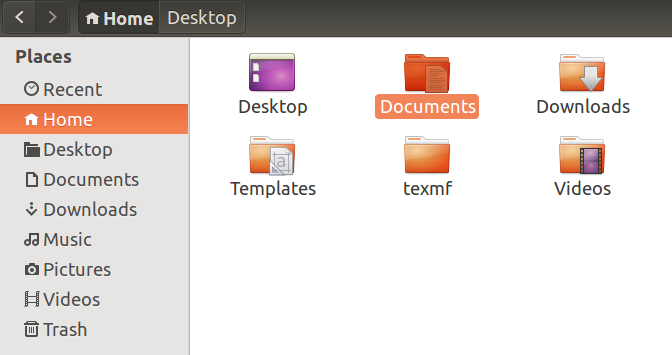 How can I use the gtk3 file chooser with keyboard shortcuts? How do I change the keyboard shortcuts for switching TTYs?